September 18 : If you can imagine iridescent opals, sparkling crystals, shimmering diamonds, and bold emeralds beautifully connected in perfect balance, then you can imagine what a world of wonder Brigitta Winkler took us to this past weekend. Every facet of her masterful teaching was evident in her inimitable style, solid preparation, and precise delivery. Brigitta is a maestra, a whirlwind of energy, and an unforgettable teacher. Siempre, siempre recordaré este momento con ella. 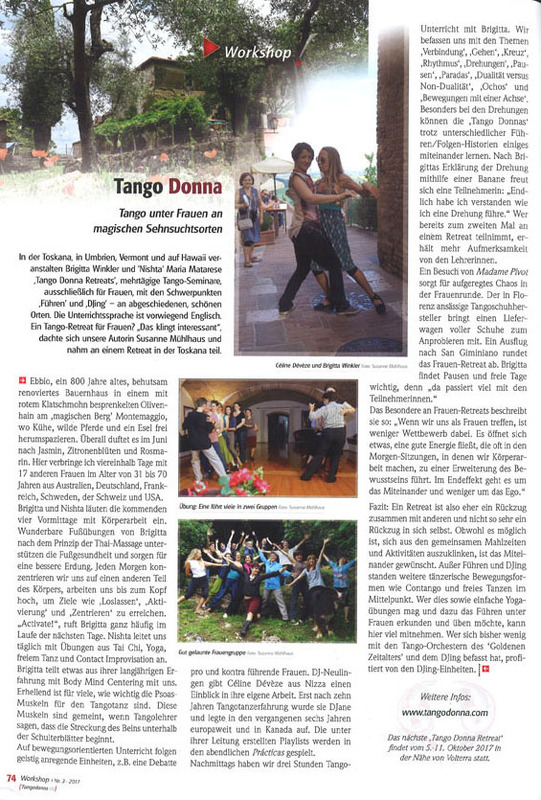 We were reminded that learning tango can be pure, unbridled fun! WE LOVE YOU, Brigitta, and hope you will return soon...like REALLY soon.